Happiness is something that can only be maintained through mental and emotional sacrifice. Theologians will debate that sacrifice and happiness are two entirely differing sides of emotional spectrum—especially when those theologians are getting something for their opinions! Their idea of happiness and sacrifice may in-fact be as simple-mindedly synonymous to the phrase 'give and get'. or 'loss and gain'. Religious and spiritual sects are separated into two basic beliefs on loss and gain. Of course, there are those who maintain belief in an entity, possibly self-regulated meta-physically and, who maintains a weighted perception of the individual as they make choices throughout daily activities. Then there are also those who believe that everything has been stewed up from some primordial soup and that no one judges actions of individuals because everything is just stuff, and we are mere electrically charged meat. I make loose comments and statements of each belief, not to ridicule one or the other, but rather to be most Just as possible in my writing. A gentleman has saved his bonuses for two years to take a trip and see the world's largest waffle next June. Approaching the event, his wife informs him that their daughter needs two thousand dollars to get into her summer program in high school, which might help her on her journey to achieving her dream of a famous dancer one day. Both men decide to sacrifice their solo-dream-trip in lieu of their daughter's hopes and dreams. But the question posed is: What will each get out of it? The Christian looks into his wallet, at the ticket counter, pulls out his money, sniffs the warm air—while imaging the scent of a large syrupy waffle—and after a moment of detached pleasure, followed by a brief feeling of bereavement, places the money back in the billfold while surrendering his trip as a sacrifice to god, and leaving then the line quite contented. Soon he is walking along the sidewalk and mentally giving thanks for his wife and daughter, the money he has earned, the opportunity for his daughter's adventure, and patting himself on the back for a sacrifice toward the greater good. Furthermore, he then flips a coin into the beggars cup—not a usual action of his—as he passes to remind himself that every sacrifice, no matter how minute, brings him closer to heaven. The Atheist looks at his wallet while standing in line at the ticket counter and imaginatively compares his daughter's trip to his own. Finding her trip—and his wife's mood thereafter the decision—more rewarding, he then places the money back in the billfold and exits the line. At best his mood is left moot—hoping that later his sacrifice will pay off under some cause-and-effect disguised as a misnomer—and at worst he departs emotionally disturbed with anger or jealousy. He later absently passes by the rattling can-holder on the corner—not his usual action—in no mood to incur further losses. Each of these individuals posses the same organs—A stomach, a brain, lungs, a heart, and a spine—while they think and make their sacrifices. Those organs, which they both identically possess are at constant work toward a common goal as well. They strive to function to their best ability. Yet, if the Thoughts or Minds of each differing individual—possessing in himself his own beliefs—are to be viewed as a thing (such as an organ), and not as most view them—as mere Instances—then does the Christian man's organ not function more efficiently than the one of the Athiest man's which offers no reward through release of positively charged endorphins and discourages gaiety, which resulted in the Christian additional action of supporting his fellow man? 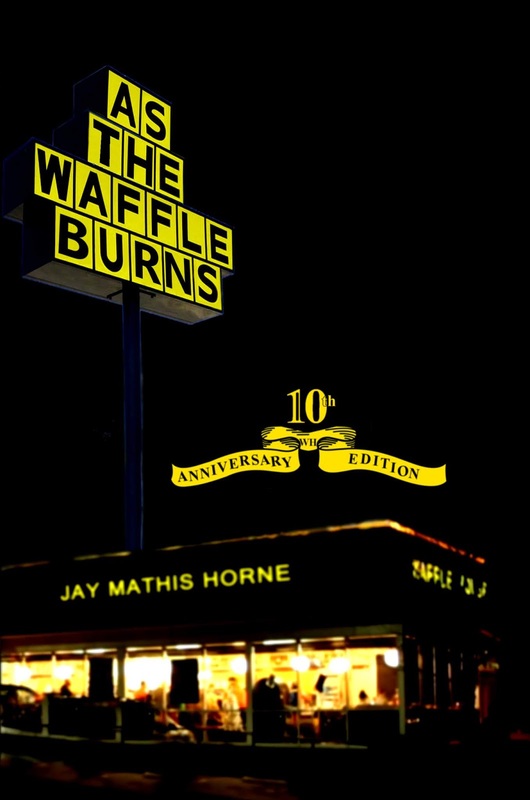 These philosophies are excerpt from As The Waffle Burns 10th Anniversary Edition Written By: Jay Mathis Horne and taken from the Waffleosophy section.